Photo of Pearl’s Bagels by Vanessa Mack. Washingtonians’ angst about finding a decent bagel has been greatly minimized in recent years with the openings of Bullfrog Bagels, Bread Furst, and Call Your Mother. Soon there will be one more reason to stop whining about access to an everything with schmear: Pearl’s Bagels, coming to Shaw this fall. Wife-husband team Allee and Oliver Cox started making bagels at their Shaw home about six years ago after lamenting the lack of bagel breakfast sandwiches in the neighborhood. Over time, the hobby started to get more serious. They tested every bagel recipe they could find and filled an entire shelf with bread cookbooks. They took a few of baking classes and convinced New Jersey bagel shop owners to let them pick their brains. Oliver and Allee Cox left jobs in PR and media to open the Shaw bagel shop. Photo by Vanessa Mack. Allee previously worked as a digital video producer for the Travel Channel and Food Network, and Oliver is a former NBC News producer turned corporate PR associate. Now both have left their careers to pursue their bagel shop dream full-time. The Coxes say their bagels share some traits with both New York and Montreal styles. “The have the salt and the savory flavor of New York bagels but aren’t quite as big,” Allee says. “And then we are going to bake them basically in a pizza oven so it has that show-factor of the Montreal-style bagels,” she says, referring to the open kitchens of the Canadian shops. The dough incorporates a tiny bit of malt, and the bagels are boiled in water sweetened with honey before they’re baked in the gas-fired brick oven. Pearl’s Bagels, named after the couple’s French bulldog with an Instagram account, will carry eight bagel flavors: plain, sesame, poppy, everything, cinnamon, raisin, whole wheat, and a rotating special. A grab-and-go section will carry cream cheese and Ivy City Smokehouse lox, but the small shop with a handful of tables will also offer a small menu of breakfast and lunch sandwiches. Expect a classic bacon, egg, and cheese as well as a lox and cream cheese with capers, tomato, pickled red onion, and dill. Other offerings will likely include a pork roll egg and cheese sandwich, avocado bagel toast, and a BLT with pesto cream cheese. Mini bagels and coffee will be available as well. As for what they think of the state of DC’s bagel scene now? 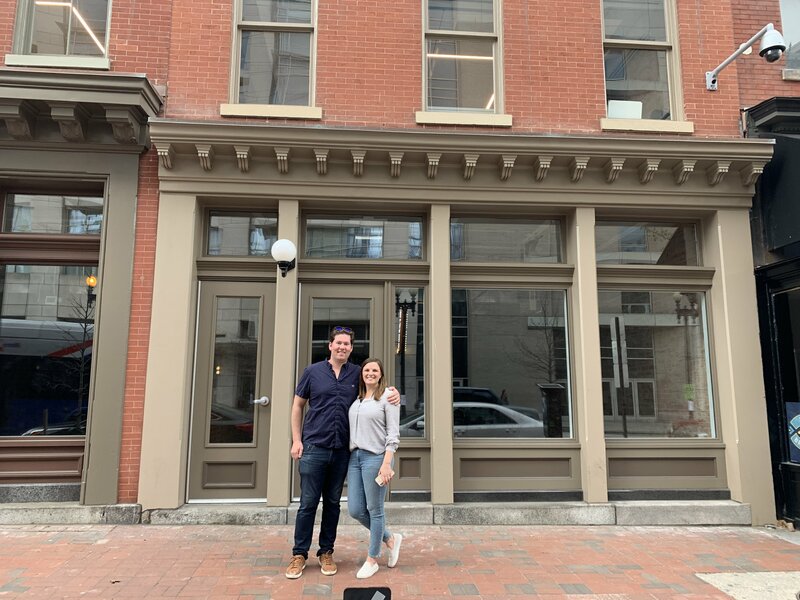 Allee and Oliver say they’re psyched about the city’s mini bagel boom, but there’s still a void in Shaw. Pearl’s Bagels. 1017 7th St., NW.